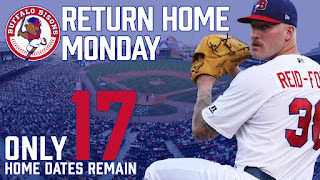 BUFFALO, N.Y. -- The Bisons are back at Coca-Cola Field on Monday and it's time you gathered up your friends and family and got to the ballpark! The Herd hosts the rival Lehigh Valley IronPigs July 30 through August 2 with five games in just four days. See Triple-A All-Stars Danny Jansen and Jason Leblebijian as well as many of the Blue Jays' top prospects like pitcher Sean Reid-Foley battle the Triple-A affiliate of the Philadelphia Phillies. And if you are headed out to the ballpark, don't forget there's still time to take advantage of one of the best offers the team has. The Bisons popular Family 4-Pack can be purchased for any game this week or for the rest of 2018. For only $79, you get four tickets, $30 in Bisons Bucks for you to feed your whole group and 25% off at either of the ballpark's gift shops. That's a savings of $15 per pack. CLICK HERE to get your Family 4-Pack today. Check out the lineup for the Bisons next homestand at Coca-Cola Field. -A Markdown Monday means tickets are only $11.00 each or $9.00 if bought in advance of game day. There will also be $1 ice cream and $1 popcorn throughout the game. -It's 'Cotton Candy Day' at the ballpark, so all bags of cotton candy will be just $2. 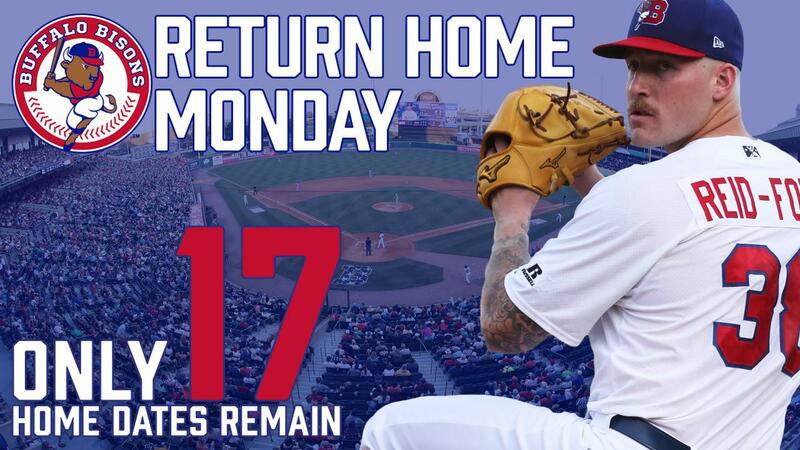 You can also bring any receipt from your favorite Salsarita's to the Coca-Cola Field Box Office and receive two game tickets for the price of one (limit eight total tickets). -A single-admission doubleheader means you get two games for the price of one. Gates open at 5:00 p.m. for the first of two, seven-inning contests. Be one off the first 2,000 fans in attendance and you'll also receive a free life-sized Buster Bison Wall Sticker, compliments of Unifrax. -Take a half day or skip out of work altogether. The Bisons close out their series with the IronPigs with some day baseball under the sun!